A young exorcist with a quiet nature, Allen Walker was abandoned by his biological parents due to his paralysis and his supposed deformity of his left arm. It is later found out that he possessed a parasitic-type of anti-akuma weapon whose true form is known as the Crowned Clown. Allenisya sent in her photos of her cosplays as Allen Walker via Cosplay Holic. This is one of my favorite shots of her as photographed by Hexlord. You may visit her blog in Allenisya’s D.Gray-Life to see how she created her costume and her future cosplay plans! Thanks for your contribution, Allenisya! In a distant world where peace once reigned, a magical orb that maintained it was shattered, causing the light and dark to enter their world. A demon known as the Lord of Darkness took advantage of the confused world and ruled for 99 nights of perpetual darkness. This is Inphyy, the main character in the game, Ninety-Nine Nights. She is a 17-year-old, quick, and powerful Temple Knight who wishes to seek revenge for her father’s death. You have to admit, her armor is very well made. 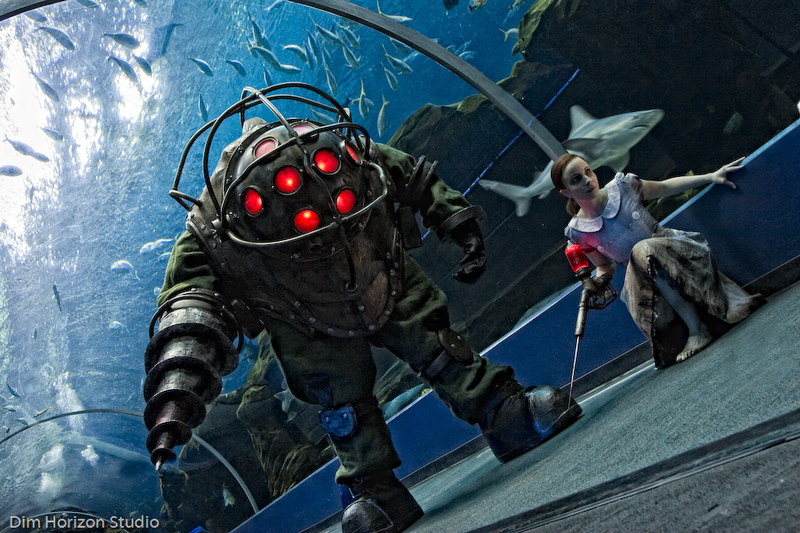 It must have taken a lot of effort to make this cosplay as impressive as it looks now. Thanks to Wan Xuan for sharing the photo!